On June 12, 2014 (15th Sivan 5774) at 10:20pm, the heavens shuddered. 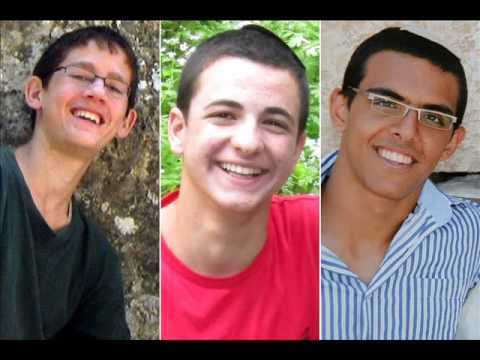 Gil-Ad Shaer, Naftali Fraenkel and Eyal Yifrah, three boys with their whole future before them, left their yeshivot to make their way home for the weekend. Their journey started at a bus stop where they awaited a ride for the hour-long drive home, to Talmon, Nof Ayalon and Elad. As the boys stood waiting, a car stopped – a stolen vehicle with Israeli license plates. Eager to get home, the boys climbed inside. Three minutes later, the driver took a turn, onto a dirt road. and would be reunited with their families. found. Their funeral was held the next day in Modiin. 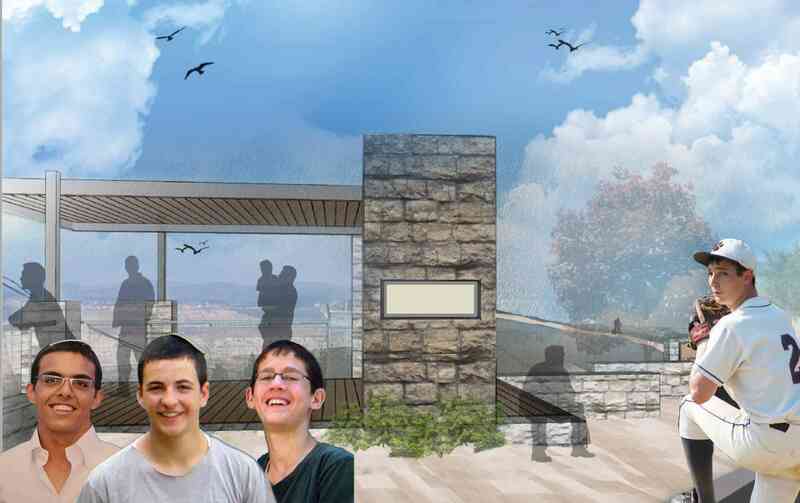 The Gush Etzion Regional Council and the Gush Etzion Foundation have decided to memorialize the boys by building a promenade, to be known as the “Boys’ Promenade”, connecting the Gush Etzion junction, the bus stop (site of the kidnapping), Kibbutz Kfar Etzion, the “Lone Oak Tree”, and Kibbutz Rosh Tzurim. the way. A parking area for buses will be built on the northern side of the promenade and a new roundabout for making transportation safer. educational activities for the youth at the observation points named in their memory. families, and commemorate the lives cut short.